Snow, Carpio & Weekley - AZ Workers' Compensation and SSD Attorneys: Bullying...Not just a problem with kids in school! Bullying...Not just a problem with kids in school! Bullying is something we all hope not to have to deal with much beyond the eighth grade. 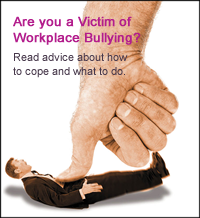 Unfortunately workplace bullies are a problem many people face. Unlike playground bullies who often, not always, resort to using their fists, workplace bullies generally use words and actions to intimidate their victims. A workplace bully may be your boss or your co-worker. No one should ever make you feel uncomfortable at work. If you are a victim of bullying in your workplace consider speaking to someone in the human resources department for help in dealing with it. If you would like to try to deal with this situation before you report it, here are some tips. If you are being physically threatened don't waste a minute before you report it to both your employer and the police. •Seek the advice of a trusted mentor who may have dealt with this situation before. •If you can, confront the bully in a professional manner, but only if your physical safety isn't threatened. Don't sink to his or her level. Stay as calm as possible. Don't yell or threaten. Often bullies are looking for this type of confrontation and it will encourage them to come back for more. Don't cry or show weakness either. That's usually what the bully is after in the first place. •Don't try to win over other people to your side. The way in which you handle the situation will allow them to make their own judgements. •Don't allow the bully to intimidate you or make you feel bad about yourself. You know your true worth. Don't forget what that is. •Do your job and do it well. The workplace bully wants you to fail and when you don't he or she will be defeated. •Make sure your superiors are aware of your work. Workplace bullies often try to spread the word that your are not doing your job well and will even go as far as to report the smallest infractions to your boss. Your actions will carry more weight than his or her words. If all else fails, decide whether or not a job transfer is appropriate (if available) and if not, whether or not you are ready to seek other employment to alleviate the stress in your life. 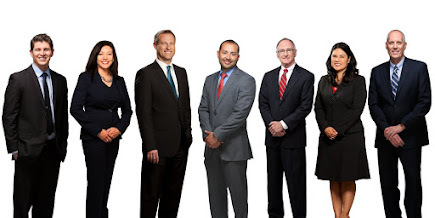 If you are injured or know of somebody who has been injured; the attorneys at Snow and Carpio, PLC are glad to sit down and speak to you at no cost about your case. For more information regarding this topic or general questions regarding a Workers' Compensation Claim, you may reach Chad Snow and the firm of Snow, Carpio, and Weekley, PLC at 602-532-0700 or 520-647-9000. Woo.. I’m a regular visitor to most of these sites anyway, but it’s really useful to have them all in one place. Thank you. Hopefully one day my brand new blog will rank among them. Better write some content first though!